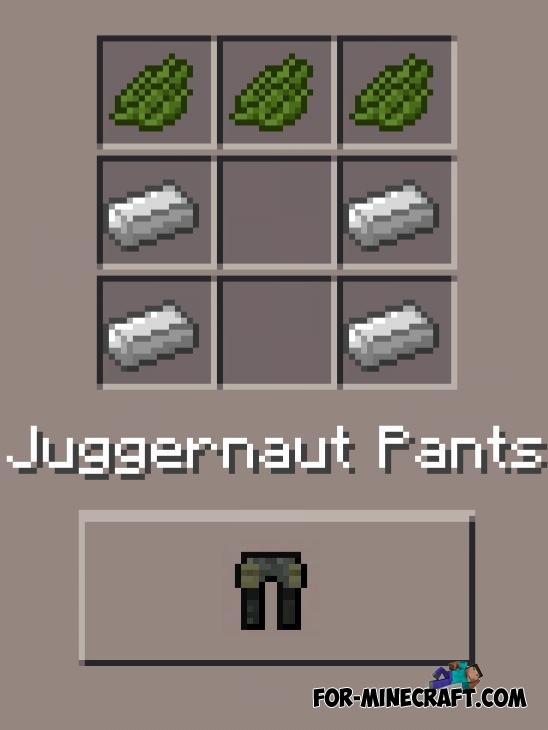 Updated one of the coolest mods for MCPE. 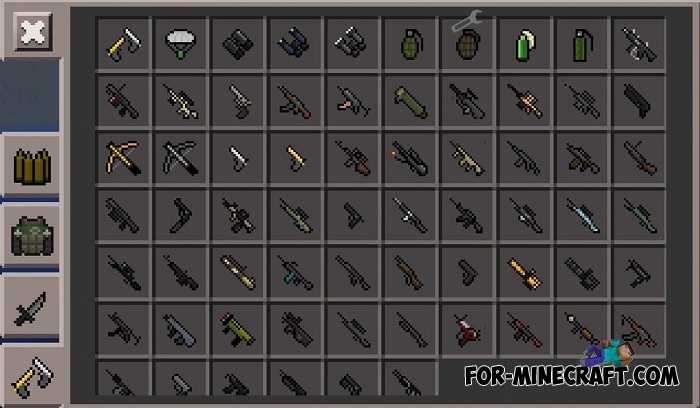 This mod adds to the game for more than 51 guns, as well as items! Update of the popular mod that adds an arsenal of cool weapons! 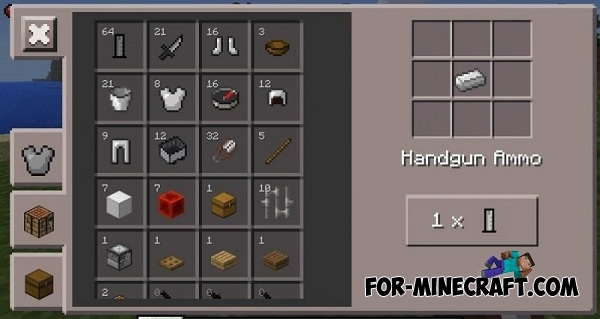 You get a wide variety of guns, with which the battle will be even more exciting in your Minecraft PE! 1. 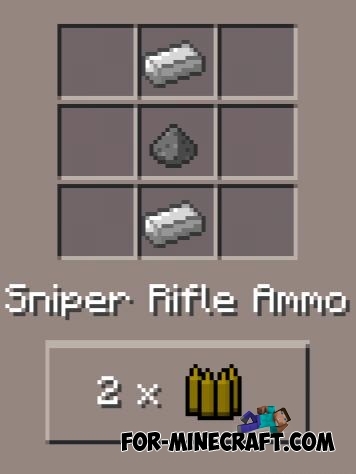 You can find all the weapons in survival and creative modes. To get started you can find crafting recipes (all recipes at the end of this article). For example, we will create a .44 Magnum but first we will need ammo (each type of ammunition is unique for each weapon). Magnum ammunition are made from one iron ingot. 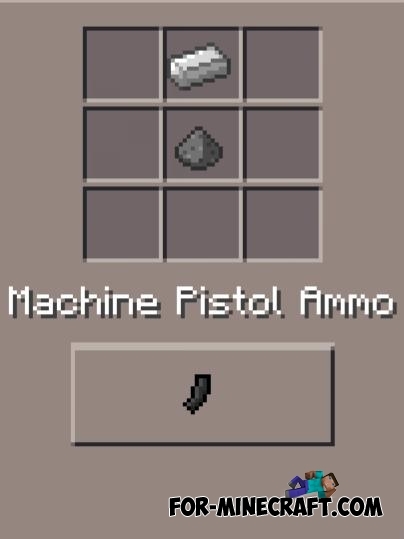 Now, when handgun ammo appeared in your inventory, it's time to craft the pistol. 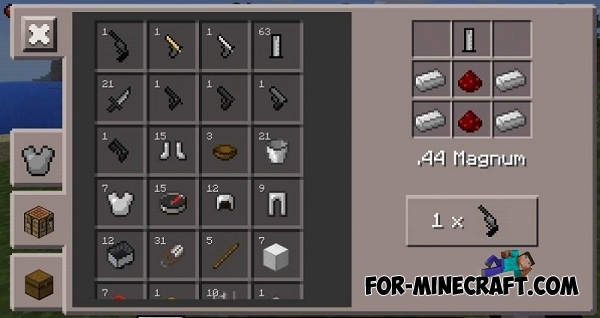 For this we need 4 iron ingot + 2 red dust + handgun ammo. Compatible with Minecraft PE 1.2, but before installing you need BlockLauncher (link at the bottom). Fixed some bugs including problems with crossbows. Added a new suit - exoskeleton. New guns tabs. 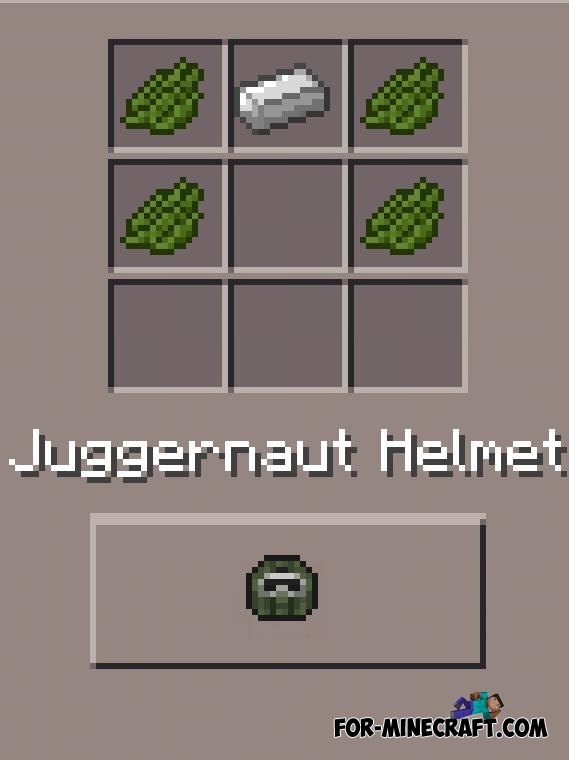 All items are divided into ammo, weapons, melee weapons and armor. Fixed the user interface that is not hidden if you opened inventory. Some fixes of melee weapons. Support for MCPE 1.1 (and other beta versions). Global update of melee weapons, added 7 new types. Important: use a compatible version of BL to install this mod. Fixed a bug that does not allow you to change the volume of the minigun. Power explosion was reduced and now is more realistic. 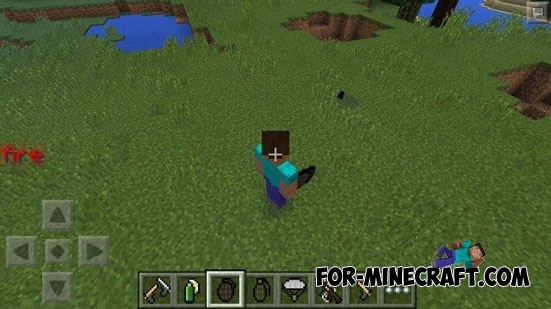 Support for Minecraft PE 0.17.0 (MCPE 1.0). You can install the mod if you have the latest version of BlockLauncher (here). Unfortunately, r020 ver. 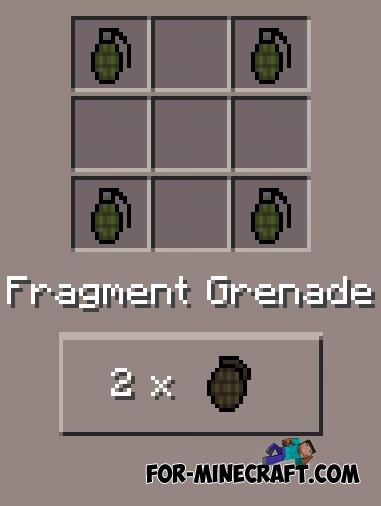 does not contain new types of weapons, only fix some lags. Support for Minecraft PE 0.16. 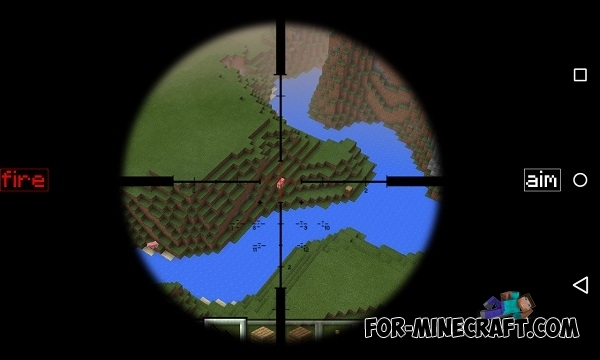 You can look through the scope after aiming in the following types of weapons: AK47, AUG, Desert Eagle, FNSCAR, Mini-Uzi, MP5, P90, Skorpion. Option to disable the iron sight of your choice. 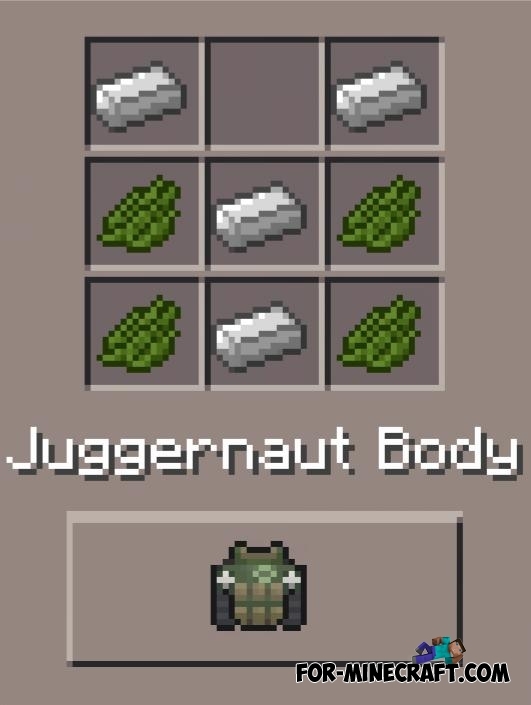 Now the explosives does not affect the blocks. Support for Minecraft PE 0.15. New sniper rifle - M40A3 Night Vision. Updated: more realistic images using binoculars. 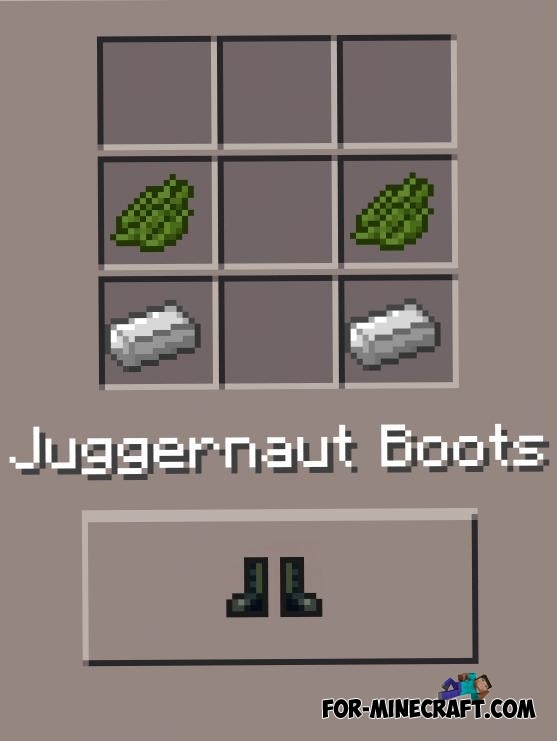 Ammunition items and first aid kit were moved in food and potions tab in your creative inventory. Fixed weapons and items audio delay. Fixed the crash by clicking on reload button of weapons. Improvements and changes of sounds. 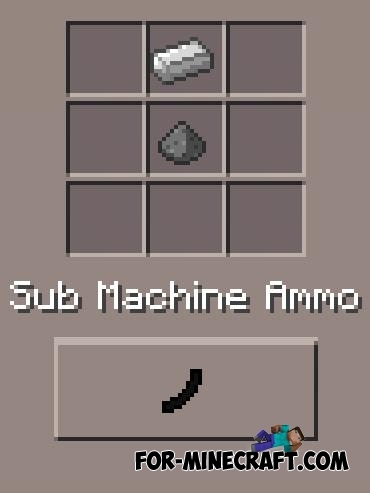 Support DesnoGuns addons, a new way to add guns in the game for everyone! Added a laser gun and binoculars. 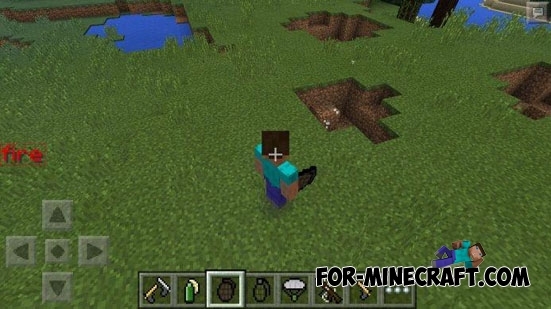 Support for Minecraft PE 0.13.0. Added multiple launch rocket system. Added smoke after a shot from a bazooka. Fixed explosive ammunition that sometimes exploded in the air. Fixed enchanted golden apple and a few other items. 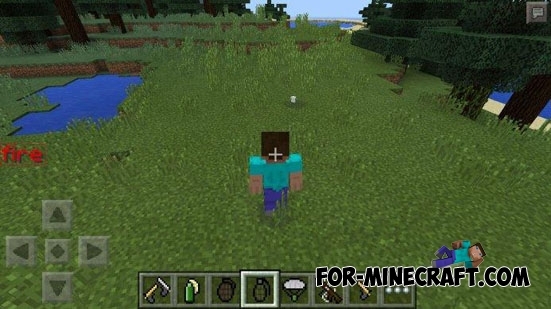 Fixed button Minecraft in style. These new items are available only to users of the Pro version modification. 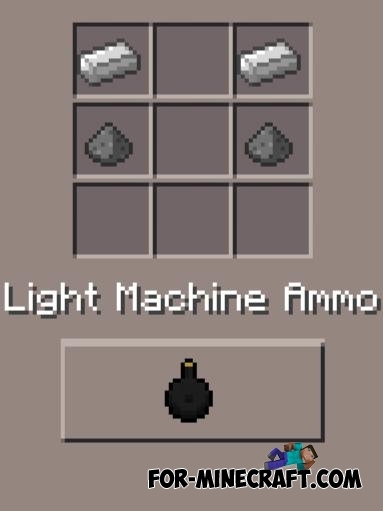 Updated one of the coolest mods for MCPE. 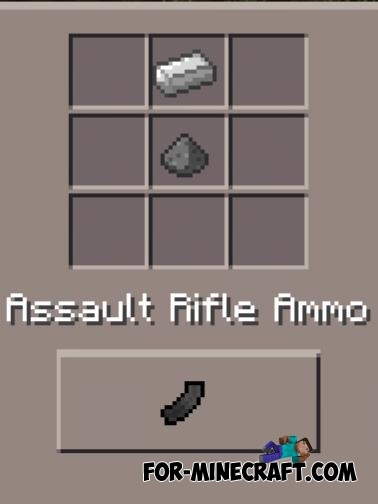 This mod adds to the game for more than 50 guns, as well as items! 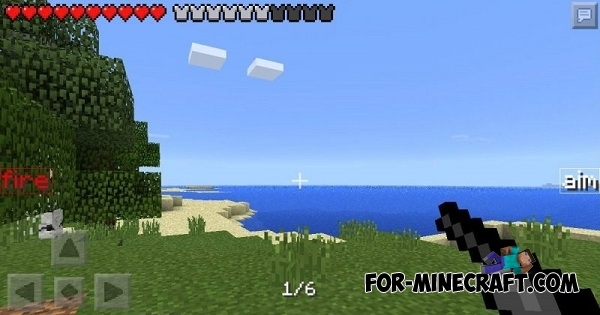 NEW: support for Minecraft PE 0.11! NEW: support for Android M! When is the mod going to be usable in multiplayer ??? It is. If the host uses DesnoGuns, the players joining need to have the mod. If the host is not using DesnoGuns but the players joining are, the players joining might not be able to join. 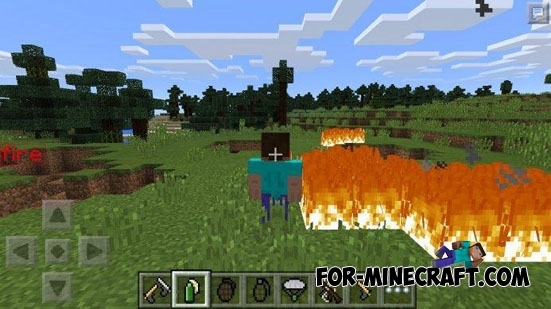 How can you download this mod?